Editor’s note: You may have missed the original post when we published it a couple years ago. We know how important content promotion is today so we’ve updated it to reflect some new tools and some older favorites. I produce a lot of content. Not for the fun of it (although I genuinely enjoy most of it), but because I want it to increase awareness of my personal brand, drive traffic to my site, and generate leads. To boost the odds of that happening, I have to ensure that my content gets in front of as many people as possible, and to do that I have to promote it. As with most things in life, it’s much easier if you have the right tools at your disposal. 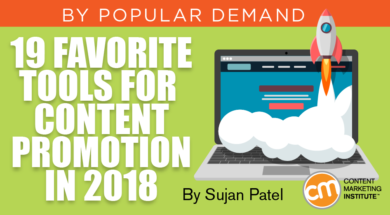 Here are 19 of my favorite tools (and pricing – though many are free) I use in my content promotion in 2018. I break these tools into four groups – social media and audience-building, distribution tools outside of social media, SEO and outreach, and promotion-enhancement tools. Submit an article to Quuu Promote and it will be automatically shared via hundreds of real Twitter, Facebook, and LinkedIn accounts. Sharers sign up for free to keep their social media accounts active with quality, human-verified, relevant content and content producers pay to have their content distributed through these accounts. A win-win and an easy way to drive social shares and traffic to your content. Amplify is similar to Circulate.it in that it’s designed to boost your social reach by encouraging your employees to share more of your content (and making it easy for them, too). Amplify also allows you to track who’s sharing most often and who has the most successful posts. How much does it cost? Hootsuite Enterprise subscribers can pay for access to Amplify; it’s designed for bigger agencies so it won’t come cheap, but pricing is decided on a case-by-case basis. 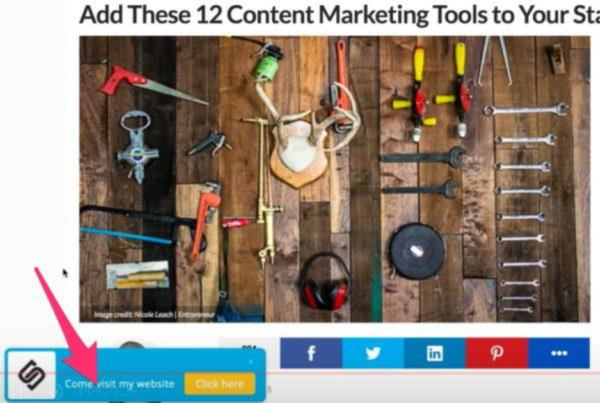 Sumo offers a suite of tools for content marketers, but the two I use the most are its list builder and share button. List builder allows you to easily set up email-capture popups on your site, to convert your traffic to marketing leads and build your list. Social buttons show up on each page and show people how much the page has been shared (good social proof) and allows readers to easily click-to-share from the page. Triberr connects groups of people who are interested in and create content on similar topics (called “tribes”). They share content to support other tribe members’ content promotion efforts. Viral Content Bee shares some similarities with Triberr in that it’s a community built around content promotion. You share content other members have produced and they will share content you’ve produced. Once Edgar has shared everything you’ve added, it reshares older updates that your followers might have missed. OptinMonster helps you build up your email list. This is, for me, key to promoting my content by ensuring that I’m getting it in front of people who care about my content. OptinMonster does this by helping you build high-converting lead-generation forms. IFTTT hooks together apps and websites so you can create processes to automate pretty much anything, including sharing content. It stands for a recipe that dictates “if ‘this’ happens, ‘that’ should happen” in response. For example, when you publish a new blog post (“this”), an update automatically posts to Twitter (“that”). 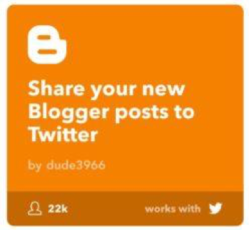 IFTTT is compatible with major blogging and social media platforms, so you can use the tool to automate sharing new content to pretty much any platform. Outbrain is a content syndication tool that pushes your content across multiple top publishers. You probably have seen and clicked on content promoted by Outbrain – even if you didn’t realize the company was behind it. For larger companies, Sigstr is a no-brainer. 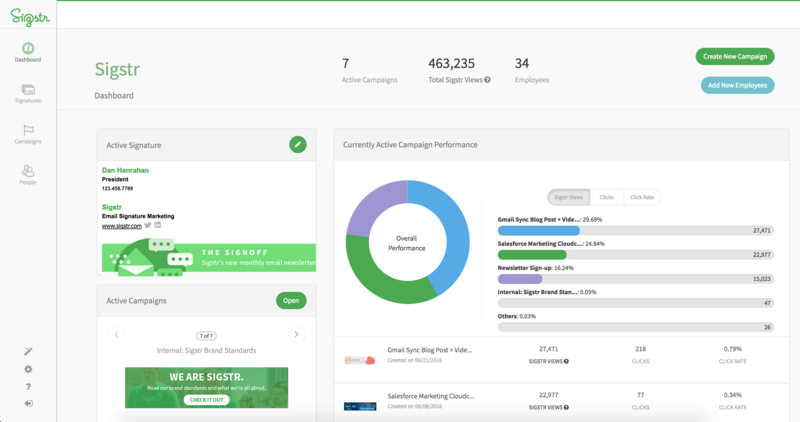 True to its claim of “turning every employee email into a marketing campaign,” Sigstr allows you to control the signature of your employees’ emails to include designed call-to-action banners promoting new articles, webinars, events, or even a simple schedule-a-demo CTA. Medium is an open publishing platform that allows you to publish articles on almost any subject. Think of it like a blog that anyone can post to. Best of all, you’re free to repost content originally published. Do this and you get instant access to a new and big audience (SimilarWeb reports the site gets close to 100 million visitors a month). Sniply allows you to enhance every link you share (whether your content or someone else’s) with a call to action. Use the CTA to encourage the viewer to visit your site and consume your content. When people click on the Sniply-generated link, they can view the article you shared and see a CTA. BuzzStream is a content marketing CRM. It helps organize and streamline content promotion. You can build lists of contacts and manage your relationships with each one and even send emails from within the tool. You can also create email templates and track whether your emails are being opened and your links are getting clicked. You may be familiar with Moz’s Chrome extension, MozBar, although you might not think of it as a content promotion tool. 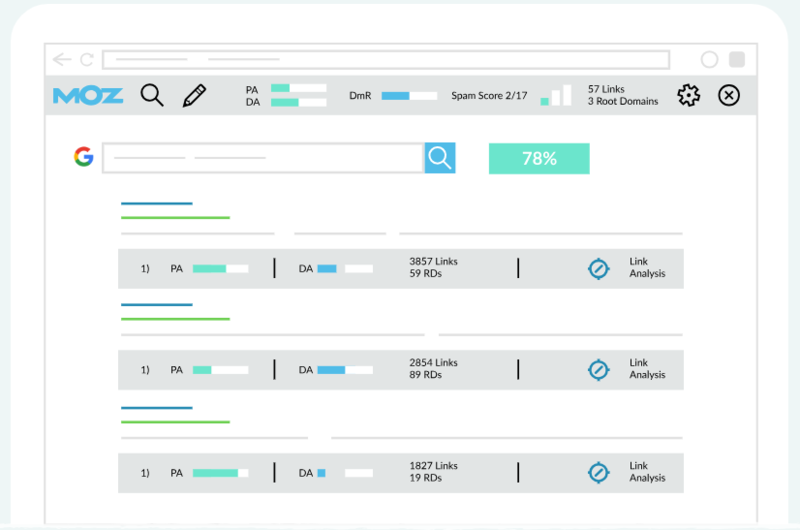 I find the ability to view a site’s domain authority at a glance to be invaluable when qualifying sites that I’m considering promoting content to. Connecting influencers and other content creators is essential to any content promotion strategy. Mailshake is a lightweight, easy-to-use tool that allows you to send personalized cold emails in bulk from your email address, allowing you to send dozens or even hundreds of emails at once with text replacement personalization and automated follow-ups based on whether your recipient opens, clicks, or replies to your email. How much does it cost? $29 – $49 per month. BuzzSumo is perhaps best known as a content discovery tool, but it’s also excellent for identifying influencers who might be interested in viewing and sharing your content. To switch to this part of the tool, just click the “influencers” tab at the top of the page. Then, simply search for your topic of interest. You can filter the results according to the type of influencer you want to approach. Ahrefs is far and away my favorite SEO tool. It has the largest database of indexed pages and links, which means the best information on competitor backlinks that you can steal. For link builders, Ahrefs is an absolute must-have. Your subject line almost single-handedly dictates whether your email gets opened. 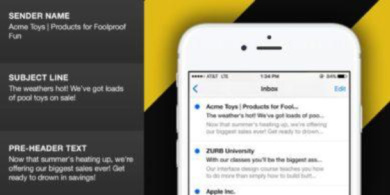 Zurb shows how your subject line, as well as your sender name and pre-header text, will render on popular mobile devices. The best outreach campaign can’t get off the ground without an accurate email address for your recipients, and Voila Norbert is the most accurate tool on the market for finding email addresses. Drop in a CSV file with the person’s name and company name, and you’ll get their email address at about an 80% hit rate, as well as their social media accounts with the new enrichment feature. What content promotion tools are you using that I’ve not included here? It’d be great if you could take a minute to share details in the comments. Stay on top of content marketing definitions, strategy, and tactics with our weekday posts. Sign up today for our weekday (or weekly) newsletter and you’ll never miss a tip.